It has been quite some time since I made salad. A chill salad is much needed for this summer. 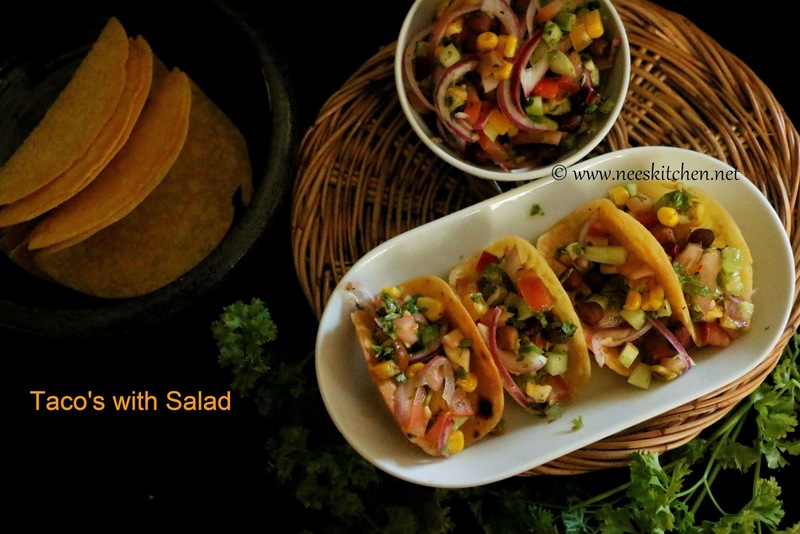 “Taco’s with salad” is a healthy recipe and can be consumed by any age groups. Taco’s are new to me and we started consuming at home very recently. 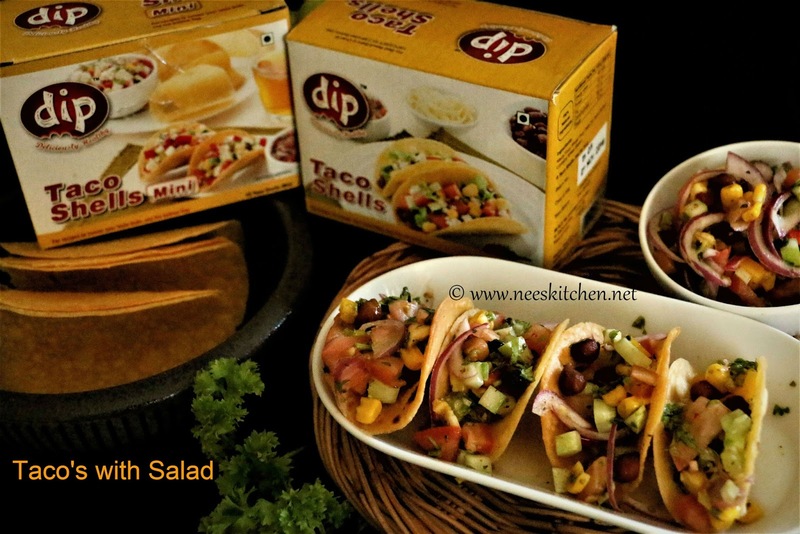 DIP Foods send me to try there mini and original sized taco’s and they tasted absolutely yummy. They are crispier hence its definitely a best snack during rainy evenings. Since it has some spices added to it, I felt like having them as it is. 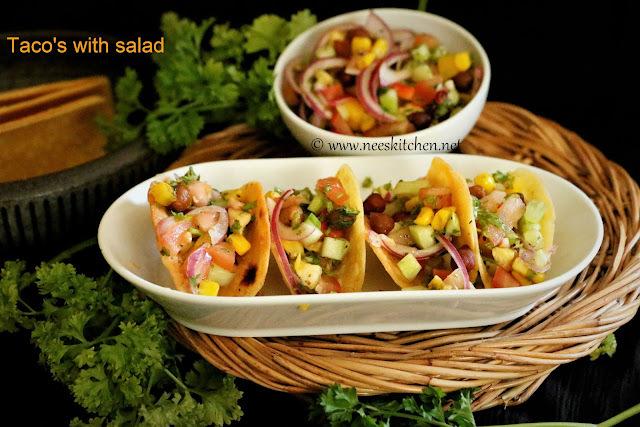 This is definitely a diabetic friendly and cholesterol friendly recipe and can be consumed by any age groups. The measurements are given after chopping the vegetables. You may add sprouts & cabbage to this also. For kids friendly version you can add boiled potatoes. I just wanted to present the diabetic friendly & cholesterol free version hence I skipped few of them. 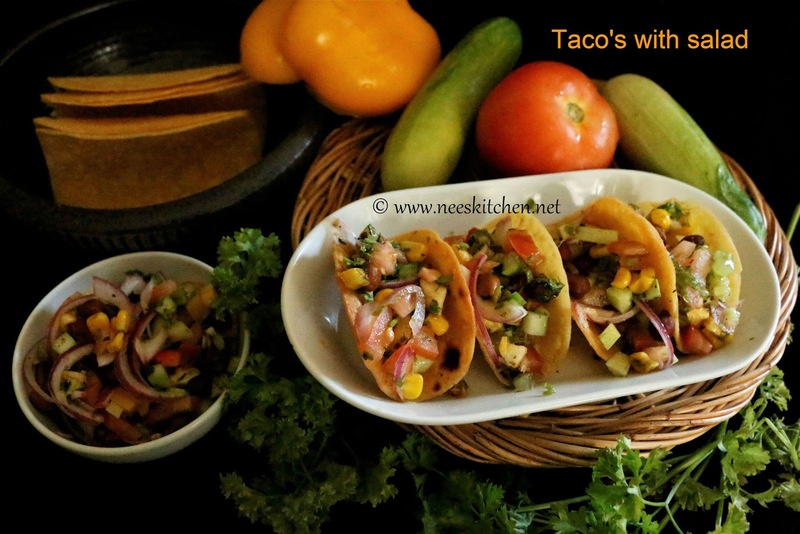 The taco’s are made out of maize flour, wheat flour, palm oil, salt & spices. There are no eggs hence very ideal for pure vegetarians. The packaging is good and once opened must be transferred to a zip lock or airtight containers similar to any cookies. Taco’s are available in 2 sizes. 4. Chop the vegetables as mentioned in the ingredients table. Measure it based on the measurements given in table. 6. Serve them with taco’s. 2. Serve the salad with taco’s just before consuming. 3. Mix and match with vegetables of choice.